Monica L Edmondson is an acclaimed artist who studied at Canberra School of Art, Australian National University, before returning to the north of Sweden to become established as a specialist in art glass. 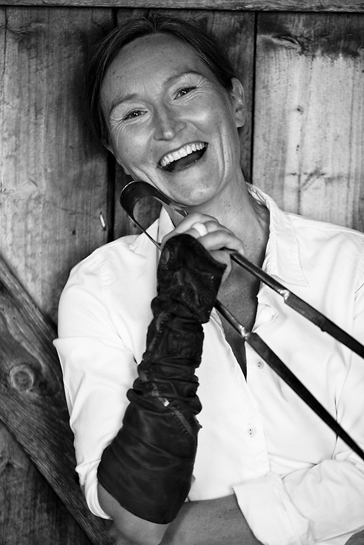 In 2002 she started her own studio and workshop in Tärnaby, where she continues her production. In her work Sami culture converges with international influences, both technically and in concept, often inspired by the vast, white winter. Public art work is another part of Monica’s experience. Like the art work commissioned by the Art Road Seven Rivers in north Sweden 2013 – a large rock and glass sculpture in Borgafjäll titled ‘Return’. Monica also works as a designer and consultant for public and business buildings in collaboration with architects, for example a glass facade design ‘Forsete’ in central Umeå Sweden together with White Arkitekter. Monica is represented in permanent collections of a number of museums, including the National Museum in Stockholm, the National Gallery of Australia and the Museum of Design and Applied Arts in Reykjavik Iceland. Her hotworked, kilnformed and coldworked glass has been included in exhibitions at home and abroad, for instance at the National Gallery of Canada in Ottawa, the Koganezaki Glass Museum at Shizuoka Japan, Venezia Aperto Vetro Italy and SOFA New York.